When you're out on the trail and you get caught in a rain shower, the Raincover Hoody 65-85L from Jack Wolfskin will stop your head, your shoulders and your pack getting wet. This breathable poncho is made of fabric. 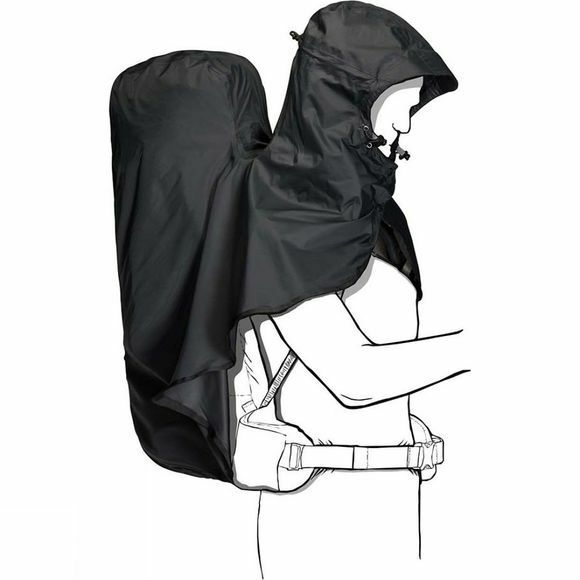 It covers your trekking pack completely and features an adjustable hood and a cape that covers your shoulders. It has reflective seams and a reflective logo for improved visibility in poor light. And when the sun comes out again, it packs away neatly in the integrated stash bag.